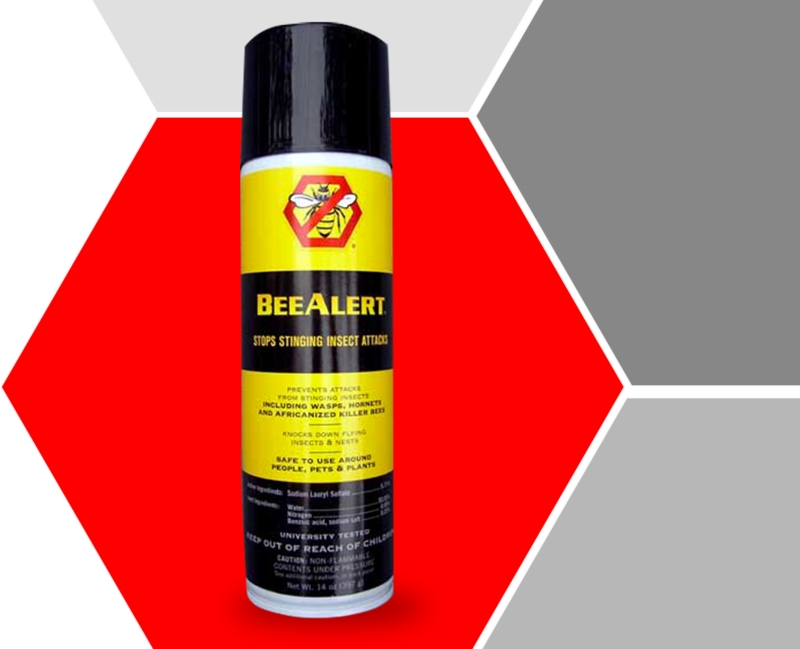 The BeeAlert Aerosol Spray distributes a non-toxic, environmentally safe spray formula that defends against attacking bees and wasps. The BeeAlert Aerosol Spray is the only non-toxic solution for those who find themselves under attack by Killer Bees and other stinging insects. The Patented BeeAlert Stinging Insect Control System* distributes a non-toxic, environmentally safe spray formula that stops swarms of attacking bees and wasps. The BeeAlert formula spray is non-toxic. Unlike other bee and wasp sprays BeeAlert’s formula can be sprayed directly on adults, children, pets, and plants. It is non-flamable. It will not stain. Firefighter’s foam and other chemicals used in the past are dangerous to both victims and the environment. The BeeAlert formula is safe. The BeeAlert Bee Control System uses a patented spray system and non-toxic solution that knocks the insects down without harming the victim, the operator, or the environment.